Suffering from a torn labrum and a condition called femoroacetabular impingement of the hip, pro golfer, Brandt Snedeker, underwent two similar hip surgeries under the hands of Dr. Marc Philippon. His first hip surgery was on his left hip in 2010; he later had an identical surgery on his right hip in November of 2011. FAI is a common cause of hip pain and osteoarthritis that involves too much friction in the hip joint during extreme range of motion movements. With two hip surgeries behind him, Brandt went on to win a PGA tournament just 90 days later at Torrey Pines, and was named to the U.S. Ryder Cup. 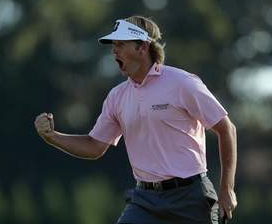 Just this past weekend in Atlanta, he won the Tour Championship and the FedExCup in Atlanta.